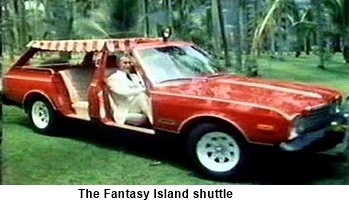 Fantasy Island was a place where you could go to fulfill your wildest (PG rated) fantasies. The fantasies would range from simple like finding true love to supernatural like seeing a departed loved one again. 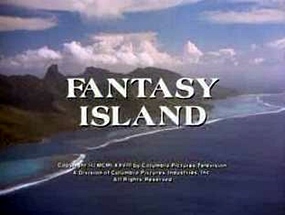 Up to three couples would pursue their fantasies during each episode with the individual stories even occasionally overlapping putting the Island’s fantasy participants into each others stories. The fantasy chosen by each person would inevitably be turned around into something else that would make the person more morally aware. 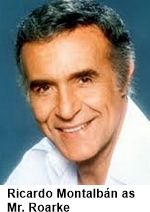 Mr. Roarke (Ricardo Montalbán) was the proprietor of the island and pulled off all of the fantasies using some sort of supernatural powers which were only hinted at. It was also hinted that he might be thousands of years old and on a first name basis with many of the Greek Gods and angels. He goes toe to toe with the Devil on two occasions and beats him both times. 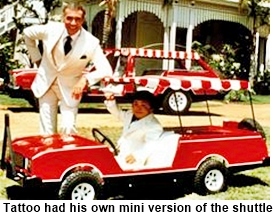 Usually though the fantasies are more down to earth and Mr. Roarke simply provides the backdrop leading to happy conclusions which are often far more than the visitors expect as they face challenges that test their character in ways they never imagined. 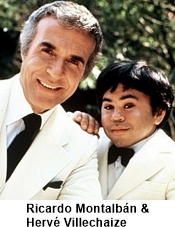 Tattoo (Hervé Villechaize) is Mr. Roarke’s faithful assistant who rings the bell atop the church tower and announces each incoming group of visitors to the island and the opening of the show by saying “the plane, the plane”. Hervé is replaced for what would become the final season by Lawrence (Christopher Hewett) who was much more sedate and didn’t provide the comic relief that Tattoo had. In the sixth season the character of Julie (Wendy Schaal) was added as an additional assistant. The hope was that her addition would lower the testosterone level of the show a little but that just isn’t possible in any show that stars Ricardo Montalbán. 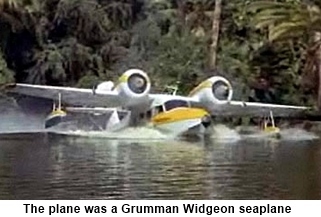 In 1998, ABC revived the series hoping to cash in on its earlier success. Mr. Roarke was played by Malcolm McDowell and instead of trying to cast a new Tattoo they went with a group of assistants including Ariel (Mädchen Amick) a beautiful shape shifter. Heavy emphasis was placed on the supernatural aspects just hinted at in the previous series. The series was pulled off the air after just half of a season with the remaining episodes being purchased and shown on the Sci-Fi channel.